The Employee grant programme “Helping monuments” was announced in 2016 for the twelfth time. 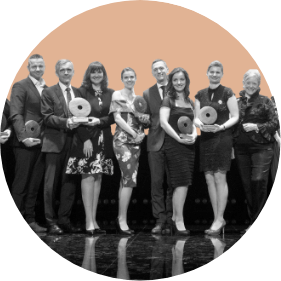 It is an employees’ grant scheme within the Slovak Telekom Endowment Fund which motivates the employees of the company to engage in their surroundings and its monuments. 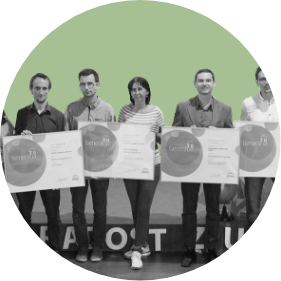 If a project wants to be registered in the programme, it has to be recommended by employees at Slovak Telekom. Grants can be used for projects that have a public benefit that will lead to the preservation of listed national cultural sites, non-listed sites and historic sites. Non-governmental non-profit organizations, state-funded institutions, budgetary organizations, municipalities and the Association of Towns and Communities can all apply for support. Applications were submitted through the gateway www.darca.sk. 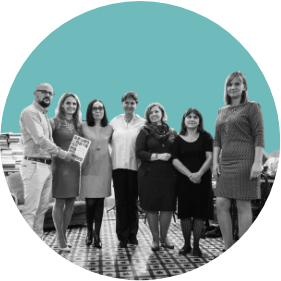 Each organization could apply for the support of only one project, and employees of Slovak Telekom could support only one project each. The maximum amount of each grant was 2500 euros. Altogether, 45 applications meeting the formal criteria indicated in the challenge and submitted by the appropriate entities were accepted by the deadline. In total, 24 projects were supported in the grant scheme and 30,000 euros was distributed. 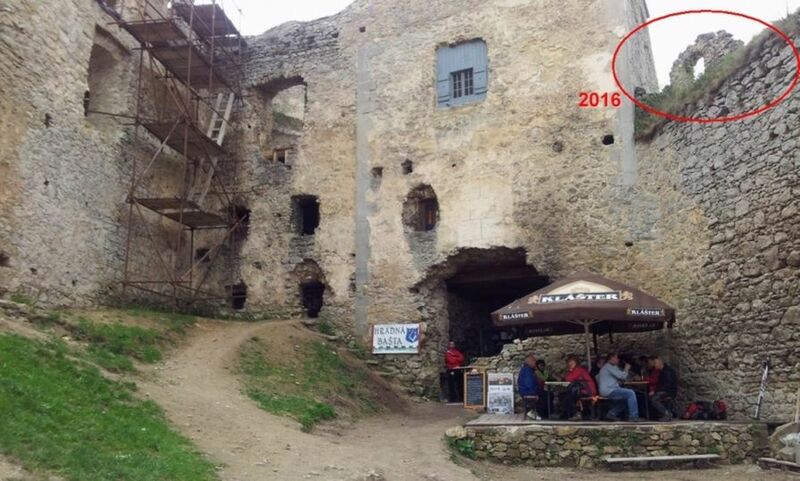 The rescue and renewal of the castle has been carried out for already more than ten years; it is being done step by step under the full supervision of a methodological specialist of the Monuments Board of the Slovak Republic. 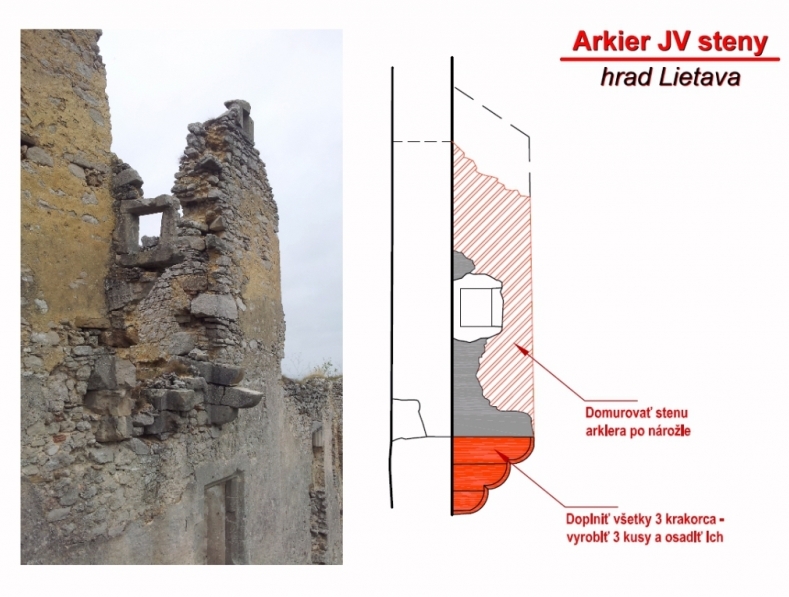 The aim of the project is to stabilize the precious and endangered parts of the architectural details of the Gothic-Renaissance style ruins at Lietava Castle. Both professional craftsmen and common volunteers are involved in the project. Thanks to the 2016 grant, the damaged embrasure of the middle defence wall will be stabilized and restored, and the stone console of the representative oriel of the south-eastern wall of the main palace will undergo a restoration of its masonry. 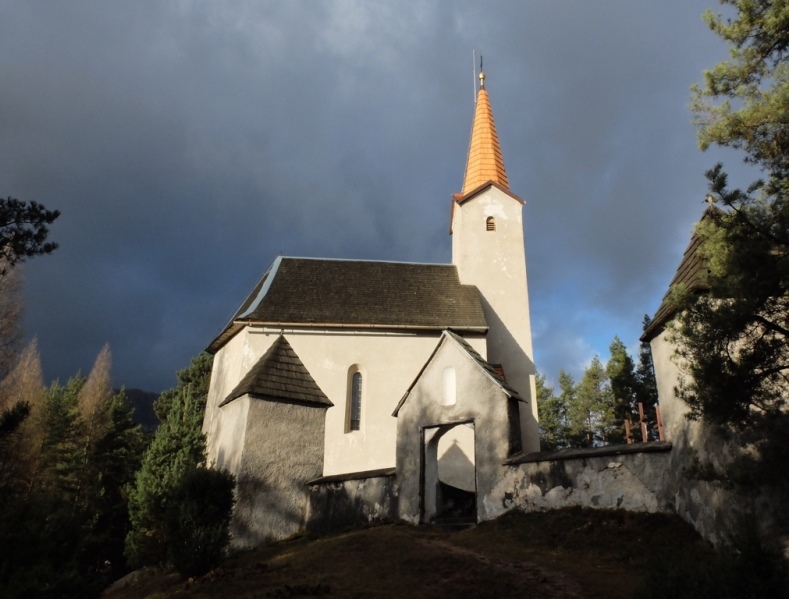 The aim of this project is to continue in renovating the roof on the building of the calvary church and the six chapels located within its fence. The comprehensive renovation of this place is planned to continue systematically so that it can be restored to its historical shape and become an attractive place for the public. It is the only such calvary in the Turiec region. 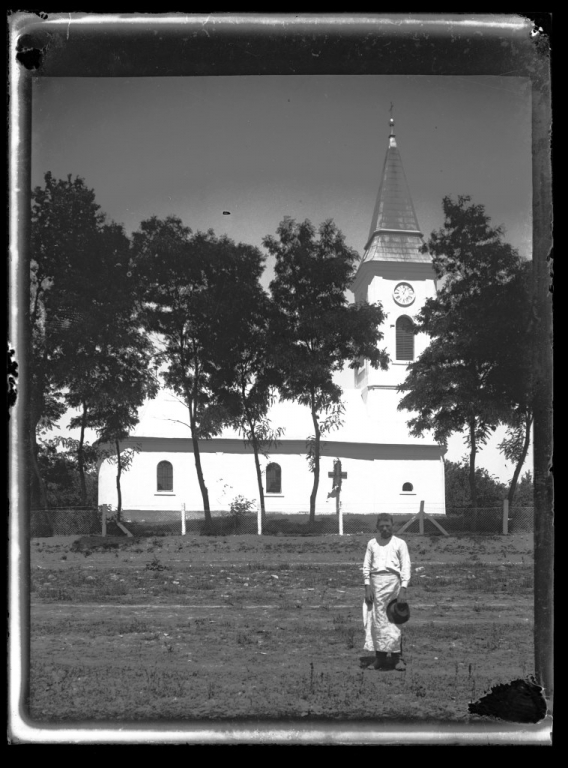 The aim of the project is to make publicly available the photographic heritage discovered in the parsonage in the municipality of Rad (Trebišov district) which is the work of parish priest Vojtech Petrík. The photographs are a part of Petrík’s parish chronicle, in which information about the wider surroundings of Rad are captured. 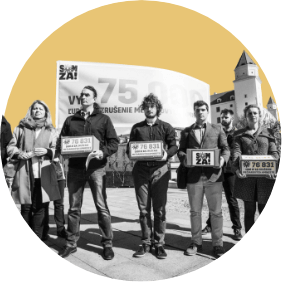 The aim of the project is to create conditions that would allow this precious collection of photographs to stay in good physical form and prevent it from deteriorating, so that it can serve as an important cultural item and a source of cultural and historical heritage concerning the region as well as Slovakia itself. Click on the following link to see the list of supported projects.